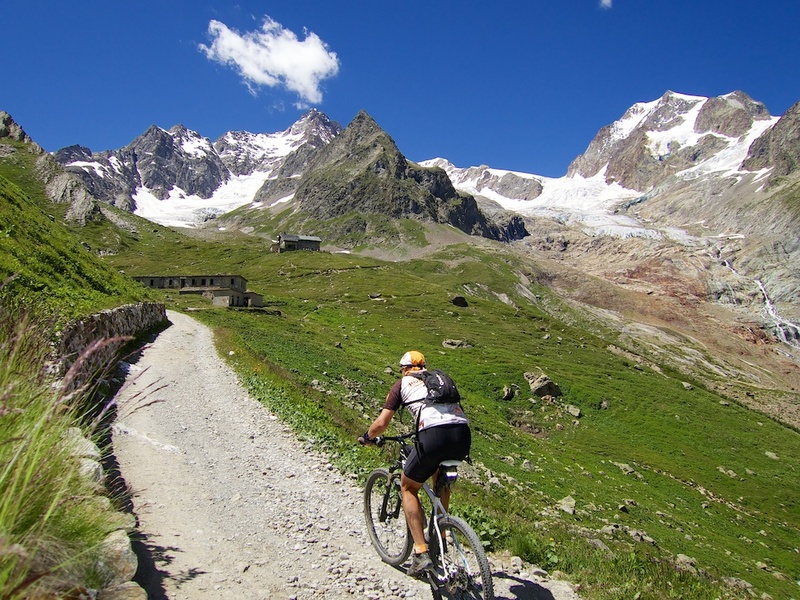 Traditionally, I have primarily enjoyed road biking in the Alps. But in 2014, I became more and more addicted to exploring the many great unpaved “roads” (farm, ski-lift-service, old military, etc.) high in the Alps. This beautiful 26 kilometre climb above Bardonecchia has it all: hairpins, alpine dams, a lake at the summit, and views to die for. Ride details here. Like Sommeiller, Col de Clapier is precisely at the French/Italian border. 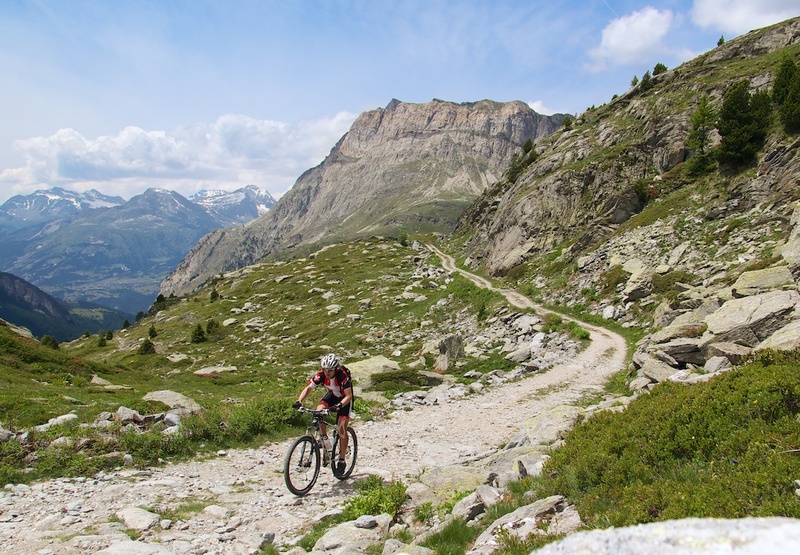 High above the beautiful Lac du Mont Cenis, this remote pass is one of several in the region that experts believe may have been used by Hannibal to cross the Alps. My route also included the French side of Col du Mont Cenis, the superb and little known Col du Petit Mont Cenis, and a fun loop around the lake. Ride details here. At the exact summit of the famous road climb Col de la Croix Fer there is a little farm road that heads much, much higher. Above are a couple of small dams, two beautiful lakes, and – with a little determination – an extension to the foot of a glacier. Ride details here. 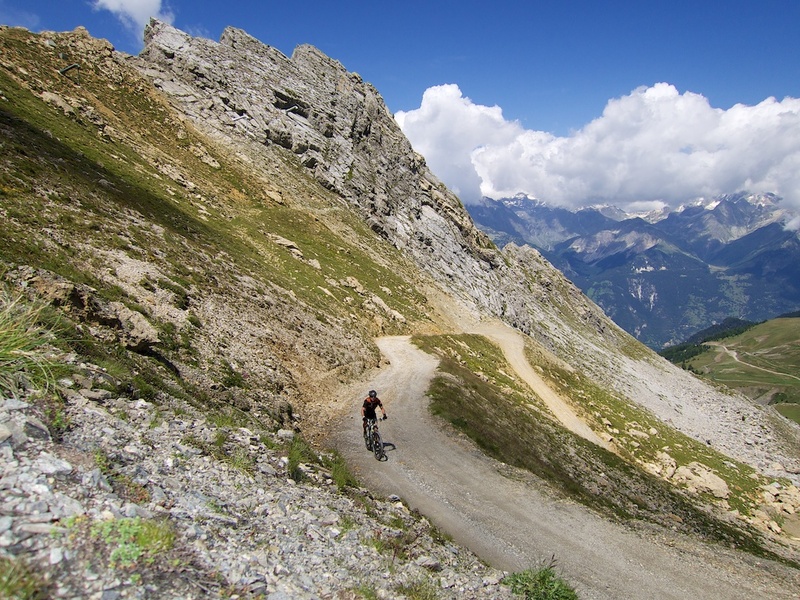 High above the posh Swiss ski resort of Verbier, the Croix du Cœur is the end of the paved road – a fantastic road bike climb. 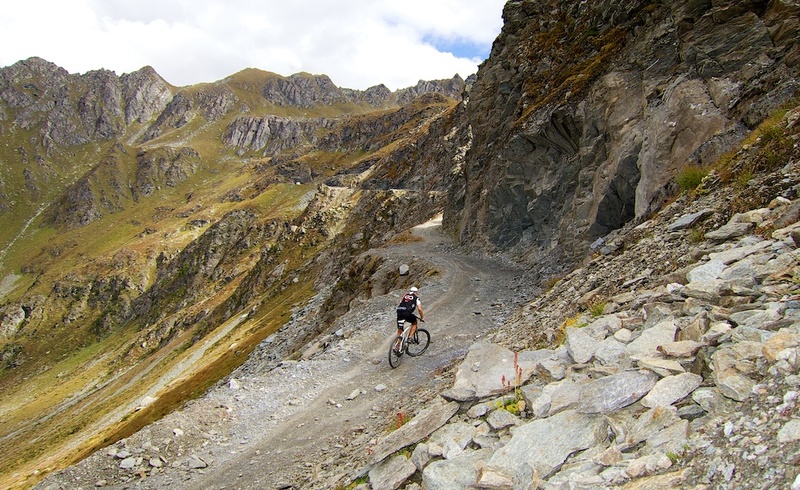 But one can go higher on some extraordinary cliff trails/roads, up to a beautiful high altitude lake, and up to the Col de Chassoure at 2,739 metres. Ride details here. 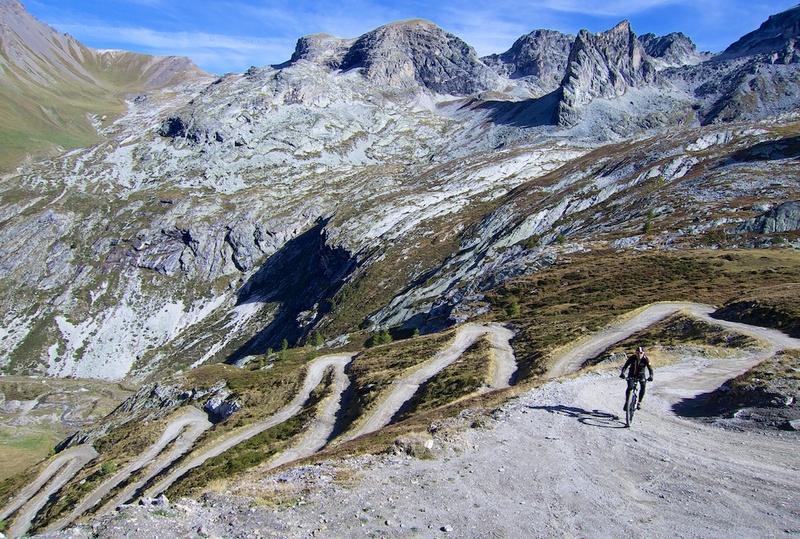 The vast majority of mountain bikers that reach Gemmipass take a cable car. 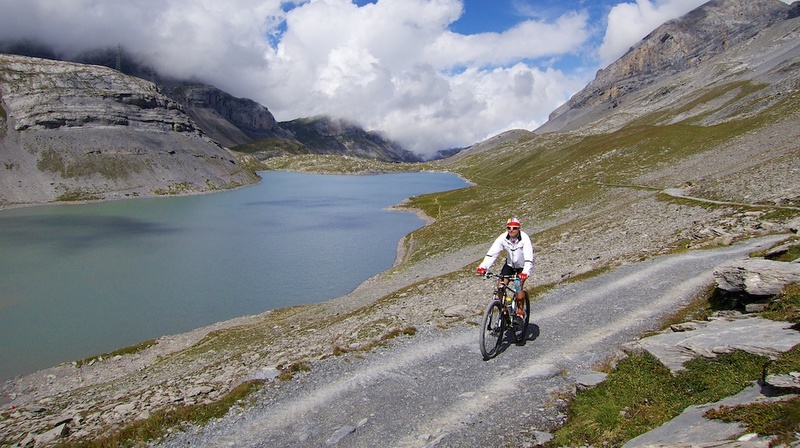 But it is possible to cycle from the Kandersteg side (without too much pushing). The landscape up high is Swiss beautiful, and nearing the summit is a nice lake (the Daubensee). Ride details here. A rare (admittedly minor) positive legacy from war: the great network of old, high, unpaved military roads in the Alps on the Italian/French border. The route to Col du Fréjus starts from Modane in the Maurienne valley. It runs above the famous Fréjus tunnel that links Savoie (France) to Piedmont (Italy). 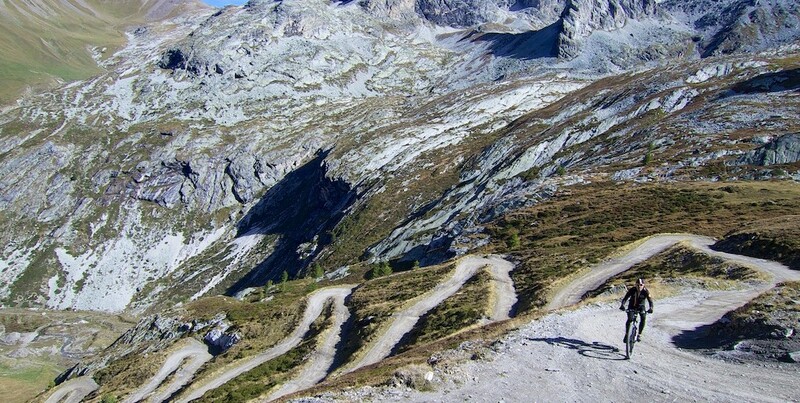 The road to the Col (2,541 metres), was built in the 1890’s at the behest of the French Général-Baron Berge. Ride details here. Flaine is one of our favourite local ski stations, and the road up via Col de la Pierre Carrée (1844m) is the highest paved pass open during winter near Geneva. But I frankly hadn’t thought it possible to mountain bike to the top of the ski slopes. Steep, steep, steep, but so rewarding. 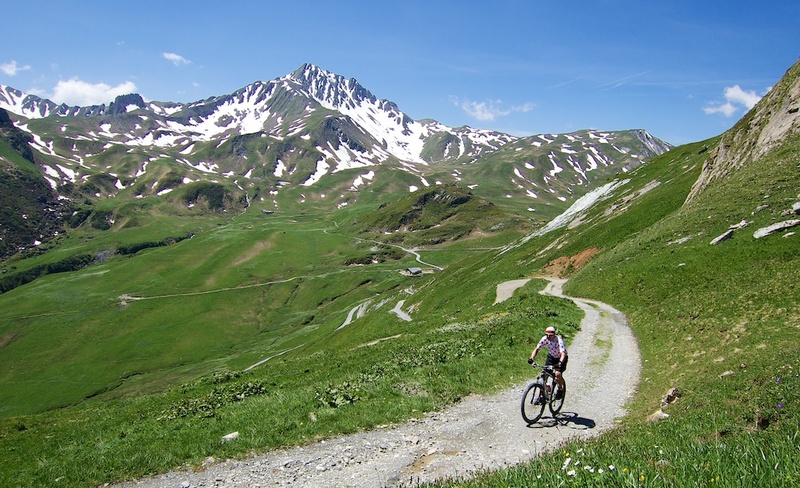 Cormet d’Arèches is one of the great unpaved “through” passes in the north French Alps – an alternative to Cormet de Roselend. I climbed the south side for the first time in 2014, and then explored even higher to Col du Coin and Col du Couvercle. Ride details here. 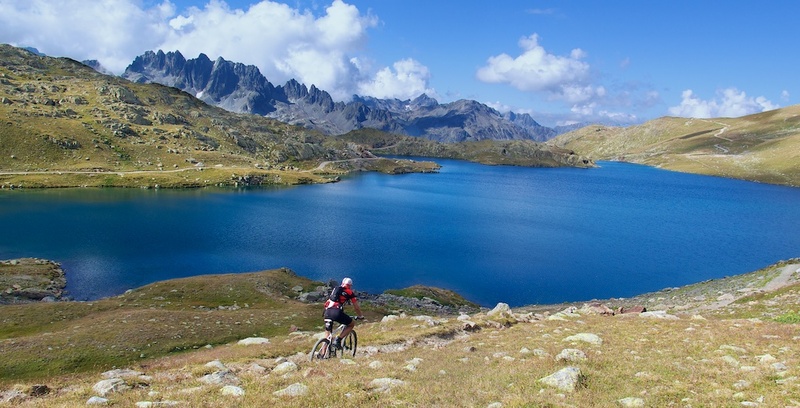 Another superb ride the next day explored trails high above Lac de Roselend – see here. Yet another pass on the French/Italian border. I started from Courmayeur, Italy – in the shadows of Mont Blanc. 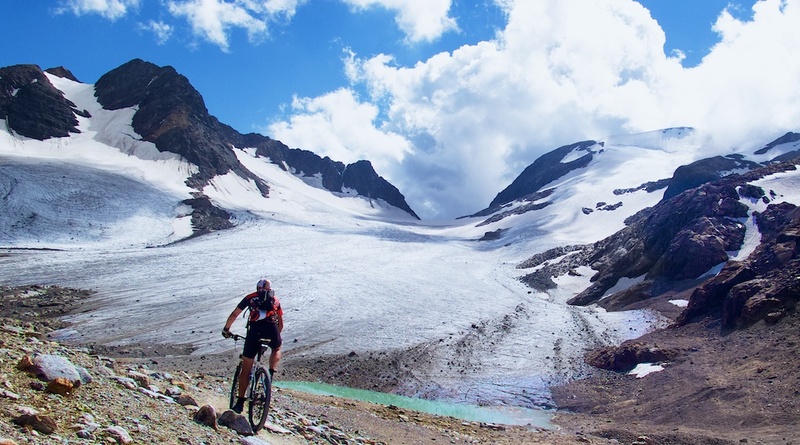 This climb is dominated by views of glaciers and high Alps. Stunning. Ride details here. 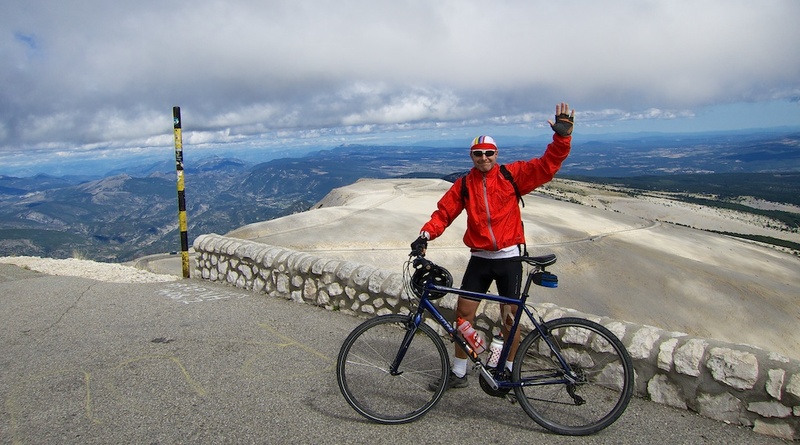 Just above Bédoin is a gravel road that climbs most of the way to the summit of Mont Ventoux – joining the north paved-side from Malaucène a couple of kilometres from the summit. Don’t expect to see a single soul on the way up. Ride details here.